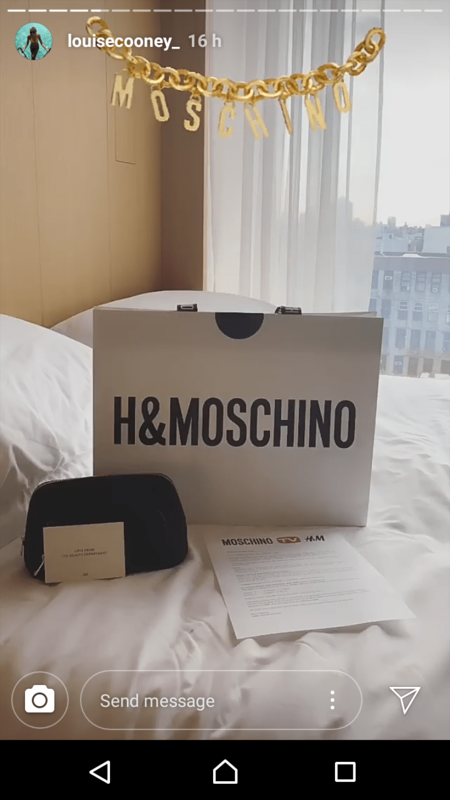 Louise Cooney has flown to New York City for the launch of the Moschino collection with H&M. Louise posted pics on her Instagram story of her hotel, a sneak peek of a t-shirt and her glamorous outfit. In the lead up to her trip, the fashion blogger posted some throwback pictures on her story of when she lived in New York back in 2015. The fashion blogger is no stranger to the brands, as Louise expressed her love towards H&M and told fans how she has worn their clothes for so long. Louise also highlighted that she wore a “Moschino vintage jacket” to this year’s Coachella festival. The fashion blogger will be attending the official launch of the H&Moschino collection today.